Bioptigen. Bioptigen was acquired by Leica Microsystems in 2015. Ophthalmology and General Research Systems. Bioptigen has pioneered a new class of in vivo optical imaging systems for biomedical applications. These systems enable real-time non-invasive imaging of internal tissue microstructure, advancing critical applications in drug development, genetics research, tissue engineering, and medical vision. Bioptigen is a spin-out of the Duke University Biomedical Engineering Department. Bioptigen was incorporated in North Carolina in August, 2004, to commercialize technologies originating in the laboratories of Professor Joseph Izatt. Bioptigen technology is based on the science of Optical Coherence Tomography (OCT), an imaging system similar in function to ultrasound, but using low-power light rather than sound waves. OCT offers resolution 100-times finer than standard ultrasound, suitable for analyzing tissue microstructure with features smaller than 10 micrometer. Bioptigen allows you to sum up multiple images of a particular cut. Bioptigen is very pleased to extend its relationship with Case through this new technology agreement. The intellectual property licensed by Case is fundamental to our ability to provide the highest performance FDOCT imaging system today and to develop new clinical tools that will dramatically extend the clinical value of FDOCT into the future. 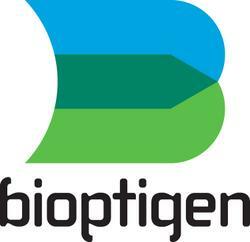 We look forward to working with Bioptigen to incorporate the Case technology and expand their product portfolio to address medical disciplines beyond ocular imaging.